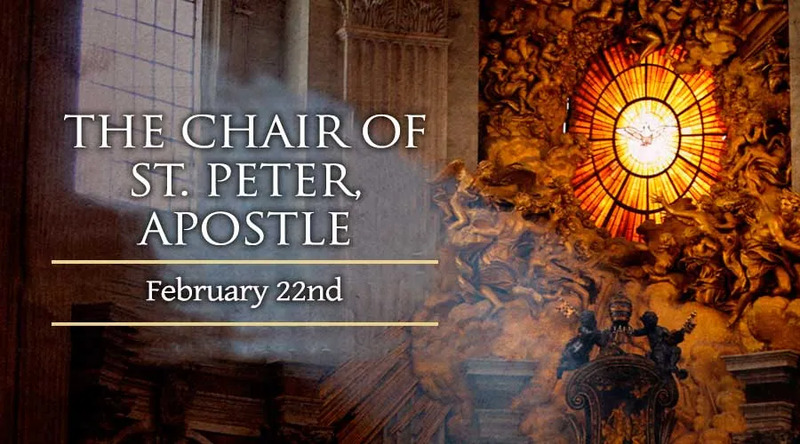 The Feast of the Chair of St. Peter celebrates the papacy and St. Peter as the first bishop of Rome. St. Peter's original name was Simon. He was married with children and was living and working in Capernaum as a fisherman when Jesus called him to be one of the Twelve Apostles. The date of St. Peter's death is not clear. Historians estimate he was executed between the years 64 and 68. His remains now rest beneath the altar of St. Peter’s Basilica in Rome.